The officers and members of St. Leonard Volunteer Fire and Rescue are pleased to announce the order has been placed for a 2019 Pierce Mass Casualty Rehab Unit. This specialized apparatus has been in the planning process for over two years and will replace a trailer presently used by the department for Mass Casualty Incidents. SLVFD’s current Mass Casualty Response Unit and the towing vehicle are aging, require maintenance, and the trailer is overweight. Therefore, the department is purchasing a self-contained vehicle to serve the entirety of Calvert County with Fire Department Rehabilitation and Mass Casualty Response capabilities. SLVFD will be the first department in Southern Maryland to obtain a dedicated Rehab Unit, which will respond to all working fires and mass-casualty incidents in Calvert County. The new vehicle, designated Rehab 7, will be slightly longer than the medium-chassis ambulance that was placed in service by the department – Ambulance 77. 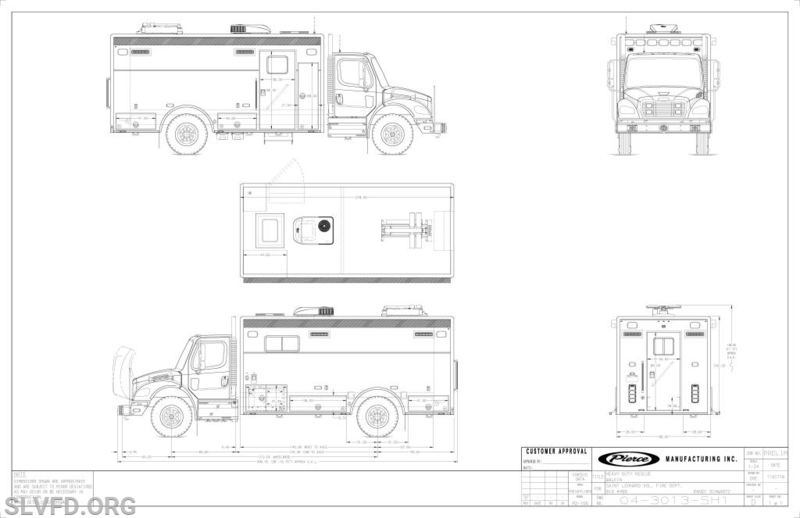 The benefits to the new design are new safety and health protection for all members of the Calvert County Fire, Rescue and EMS; quicker response times for mass casualty and rehab dispatches; reduced crew requirements to a single operator; safer operation, operation by virtually any member of a Calvert County department, and evaluation of up to (6) firefighters concurrently. The vehicle is expected to arrive in late 2019.